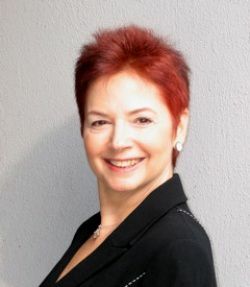 Lucy West established MetamorphosisTLC after serving as a New York City classroom teacher, curriculum developer, assistant principal, teacher supervisor and Director of Mathematics Instruction for Community District #2 - a district nationally recognized for its progressive, innovative, and rigorous focus on professional development. She later became Deputy Superintendent of Curriculum and Instruction K-12 for close to 200 schools in Region 9 in NYC. While participating in the creation of the Institute for Learning at the Learning Research and Development Center, University of Pittsburgh, she co-authored Content-Focused Coaching, with European researcher Fritz C. Staub, currently available in its 12th edition. Ms. West is recognized internationally for her innovative, effective, and cutting edge ideas for transforming schools into multi-generational learning communities that thrive in the 21st century. Ms. West has dedicated her professional life to enhancing learning opportunities for children by giving educators the tools, techniques and professional knowledge they need to become fully proficient and courageous coaches, teachers and educational leaders. Since 2000, Ms. West and MetamorphosisTLC Master Coaches have worked with hundreds of teachers, coaches and supervisors throughout North America.